Home / renewals and cancellations / Renewals! AMC Gives Fear The Walking Dead a 16 Episode Third Season! Renewals! 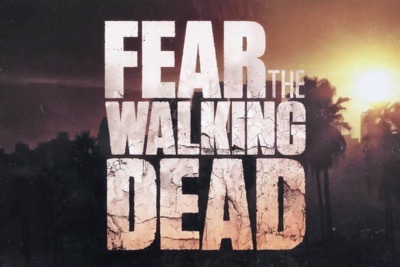 AMC Gives Fear The Walking Dead a 16 Episode Third Season! Fear the Walking Dead has been renewed for season three by AMC. The series, a companion of sorts for the Walking Dead mother-series has done steady in the ratings, even if creatively the show hasn’t lived up to it’s predecessor. The third season will have 16 episodes and will start in 2017. The series returned on April 10th with a 34% decline in ratings and in the key 18-49 demo. However, the ratings still make the series the second highest rated series on cable and broadcast in the 18-49 demo. Cancellations! ABC Pulls The Plug On Wicked City Starring Ed Westwick and Erika Christensen! Cancellations! FOX Lets Go Of All It’s Freshmen Comedy Series! Grandfathered! The Grinder! And More! Renewals! Netflix Gives The OA a Second Season and Gives Love a Third Season Renewal! Renewals! FOX Is Bringing Back The X-Files For Season 11!